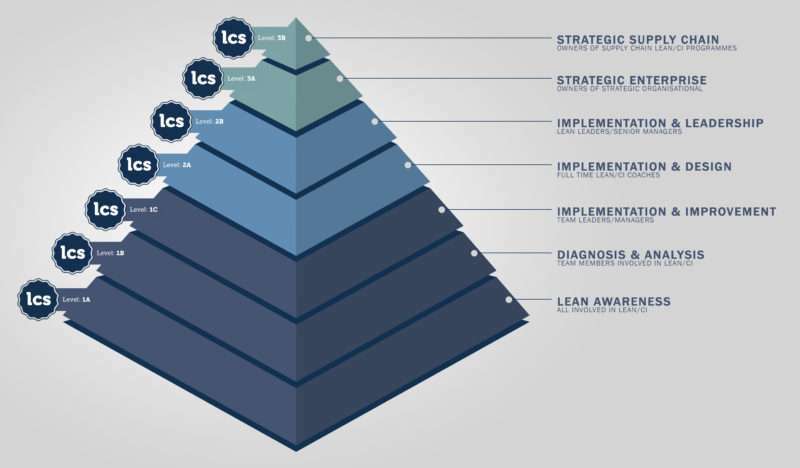 What is the Lean Competency System? 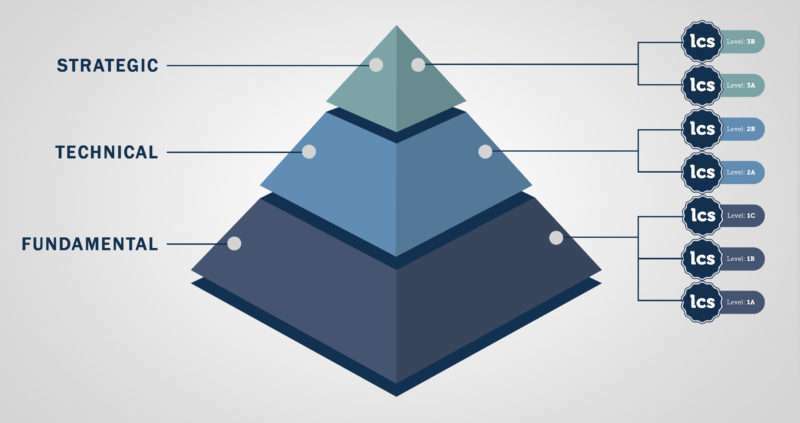 The Lean Competency System was originally created by the Lean Enterprise Research Centre at Cardiff University, and is an internationally recognised lean qualifications framework for practitioners, employees and all those whose work involves continuous improvement. There are 7 different levels of competency within the system. This means that organisations can build up a comprehensive internal lean training system to ensure they have enough of the right people with the right improvement skills throughout their organisation to make sure that improvement happens and is sustained. They can then use Lean Competency System to accredit their internal lean training system. This ensures that the system is relevant, well structured, appropriately resourced and effectively delivered. Successful accreditation empowers organisations to issue certificates of competency to those training delegates who have met the standards and requirements at the appropriate level. S A Partners have designed their improvement training programmes to align with the LCS standard, and we are also accredited to issue certificates to successful candidates on behalf of LCS at all levels. For more information about the Lean Competency System or how S A Partners has built its Lean Academy around LCS, please contact Drs. Donna Samuel or Toni Whitehead direct or complete the form at the bottom of the page. Where did the Lean Competency System come from? Around 2005 a group of researchers working together at the Lean Enterprise Research Centre in Cardiff University (LERC) realised that that six sigma training was rather more structured and understood than was lean training. It occurred to them that a generic framework was needed to help those organisations who wanted to train a ‘critical mass’ of people within their organisations to enable lean to take hold, embed and deliver results. They concluded that since they were at the time the only lean dedicated research centre in Europe, they were probably the best people to devise such a framework. LERC, as it was then is not longer, but their legacy, the Lean Competency System, remains. The system allows people to enter at any level, depending on their skills and experience to-date and/or to progress up through the levels over time as their career develops. Detailed competency specifications at each level are available on www.leancompetency.org. The important thing about the LCS is that it focuses on what you have done not just on what you know. People often develop a whole range of skills and abilities throughout their career, political, social and change management skills that sits alongside their technical knowledge. Anyone currently working in improvement knows that improvement is all about managing change and that means deploying a whole range of diplomatic, political, social and resilience abilities, to name just a few. 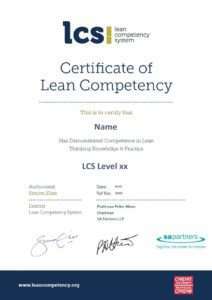 The LCS recognises the broad skillset that good lean practitioners master over time with practice. Individual competency is assessed in two ways: new knowledge acquired and how that knowledge has been practically applied. This enables organisations to build training systems around action and results rather than number of training days carried out.